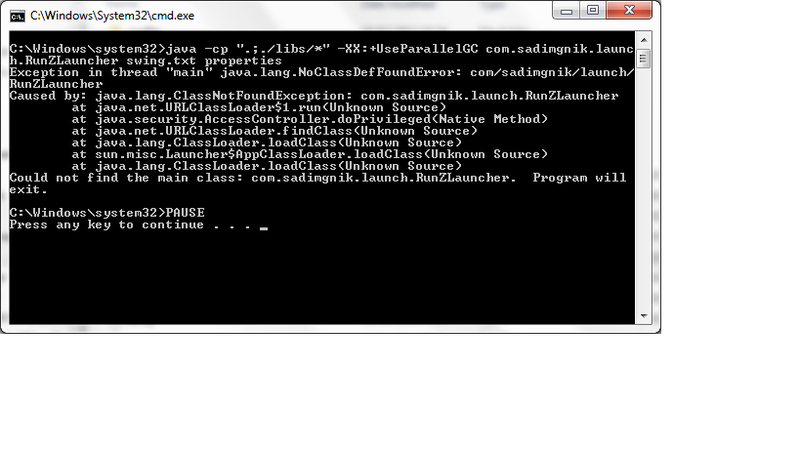 I have java and also reinstalled it but doesnt work. This sounds amazing but just cant get to work!! Am not good with tech so just wanted to check....does it matter if i just unzip the files to a folder on desktop or need to be in the champman folder on C drive? Also, may sound stupid, but when i open and want to select one of the options it wants me to search for the executable file...i assume just the normal cm0102.exe file?? I am also having this issue other people say with java and getting the message same as post 4 - i went and installed java to make sure have that, have rebooted, unzipped files again but same problem - no other java things running i know of. Any help greatly appreciated as really looking forward to using your program!! If you are still getting an error saying java is not recognised etc then your Java isn't installed correctly. You can install it anywhere, just unzip and it's ready. Yes, it means your CM exe. Try one of the links above for fixing the java not recognised, I'll see if I can make things easier for future releases. Any idea on this,is that enough to help identify?? So desperate to get this to work, sounds like a dream tool to keep this game alive!! Aahhhh. Your exe is read-only; Right-click, Properties, Un-tick read-only and re-try. hi mate, can you please help me with installing the nicknames which you have done. if you could help with installation guide that would be great. CSV Parser is just the first item on the list, click it and then choose the application you want from the list. Thanks for all your help, finally got it working!!! Another stupid question though...when some of the bits want me to select 'pre game' like the nationality one, what file am i looking for to select here? Pre Game - select this if you want to edit the .dat files in your data directory. Save Game - select this if you want to edit a save game (uncompressed). 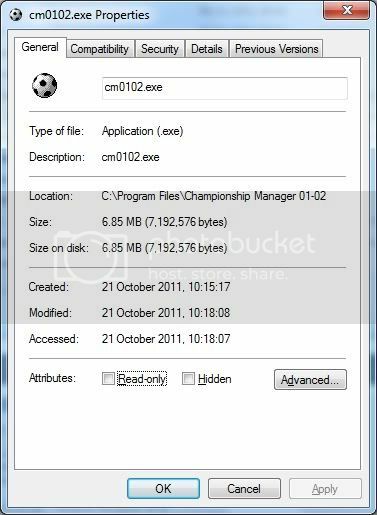 Save games are normally in the main CM directory, C:\Program Files\Championship Manager 01-02\ is the default location but it depends on where you installed it. Am i going crazy or doing somethign else wrong?? Sorry to keep pestering you on this! My immediate thought with the 'access denied' part was several things, so I'm running it in XP SP3 Compatibility. The file isn blocked or anything like that. Right click, tick Run As Administrator. 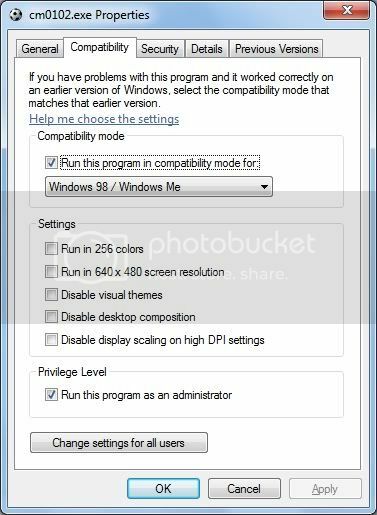 Also, it appears you are on a shared machine/you've your own account, make sure you have Admin rights for that pc. I have admin rights too, only person on the Laptop. 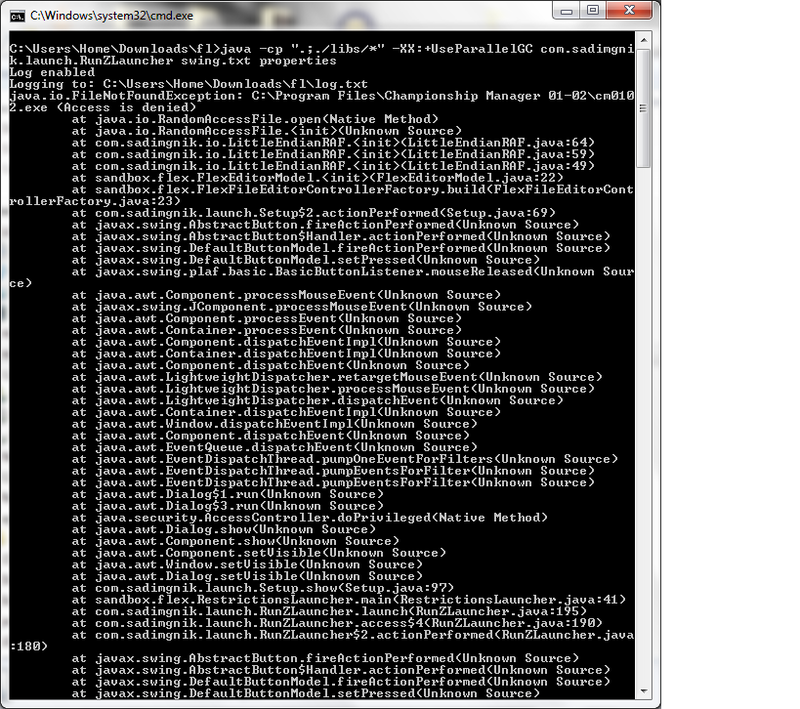 Your CM .exe is read-only, un-tick the read-only box in properties and it should be fine. That is deliberate, all you need to do is select your Data directory, click 'Open', then 'Start'. 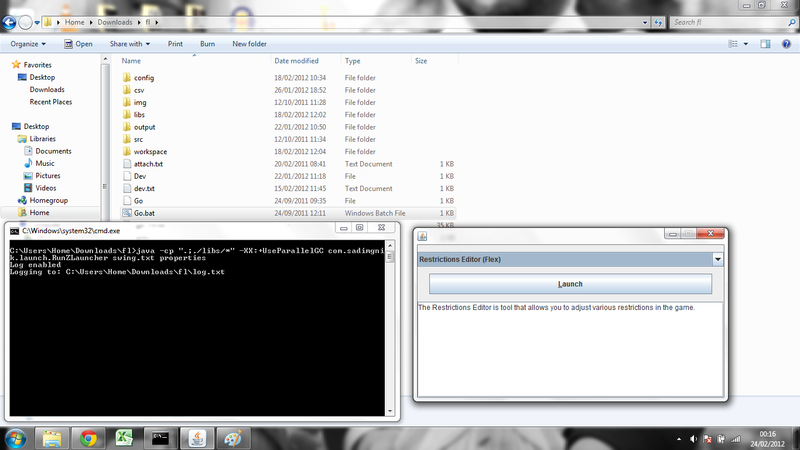 I hope johnlocke or Dermo can come to the rescue..
i downloaded the flex editor. 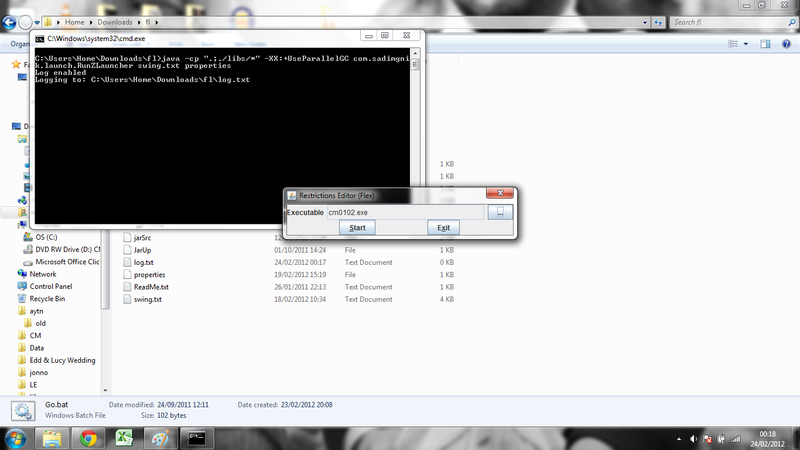 then downloaded Java from the link provided on here. so it looks like it will work. but then when i click start. Which runs over 2 pages. I also thought that maybe i need to run Go.Bat as the administrator. If I cant get this to work, i just want the argentinian League with no restrictions on foreign players. Could someone do that for me at their end and then upload cm0102.exe for me to download? or does it not work like that? Your settings look like this wato? How do i disabled my UAC and what are my AV? No problem, I didn't realise there was a wait time - I've never actually downloaded anything from there. I see noone was able to help you... is there no hope? Sorry for the re-post guys... no one has a clue on how to help us (wato20 also...)? Id start by uninstalling ANY and EVERY version of Java you have and start that from scratch. Then ensure your set-up is like the images above. Thank you for the reply, I will uninstall the Java and install again. I don't know how to turn off User Access Controls, but I'll google it! If it works I'll give the good news! Thanks for the great tool, but I have a major problem! I'm using the Prize editor, and for example, I'd set the championship prize fund to maybe 10,000,000 - but when you win the championship, you get something silly like 80m+. The TV coverage funds are fine, if I set it so clubs get 2m for TV or whatever, then it's fine, but winning leagues and competitions etc. is massively different from the values I set. Anything guys? I appreciate you're probably quite busy, but it's making my game a litle ridiculous Haha. You'll have to wait until the creator comes online mate - and not sure if he's been on since we moved forums. Thanks anyway guys, I shall wait around! i get the flex program to work but when i try to use "golden age" and creates players i dont get the game to start..
ive tried both "original" and in 3.968 verson.. I seem to recall Golden Age takes *ages* to load, it might look like it's stopped working but it hasn't. If you're getting an error, post the details. Hey guys, I've got some issues here. Everything that edits .sav files are working fine. And, suprisingly, the speed adjuster is 100% aswell. I've heard I can send internationals home with this program but I can't figure out how =( could you please explain to me how I do that? Click Exit and resume Save. Remember, the Save Game must be in uncompressed form. If its not Go.bat wont work on it. In Game Settings in Cm, change Save Compressed to 'No' and re-save your game. There is just one tiny issue I have here: It seems I can't enter more then 7 characters in the field to pick a nation. That's a bit of a problem for Portugal.. have any idea what I should enter to let it send Portuguese players home? P, Po, Por etc. won't work. I've just checked the source code and sure enough I've restricted the field to seven characters - but I have no idea why I did that. I'll fix that at some point. Yea thanks that would be great! otherwise great stuff mate you've really put a lot of work into this! 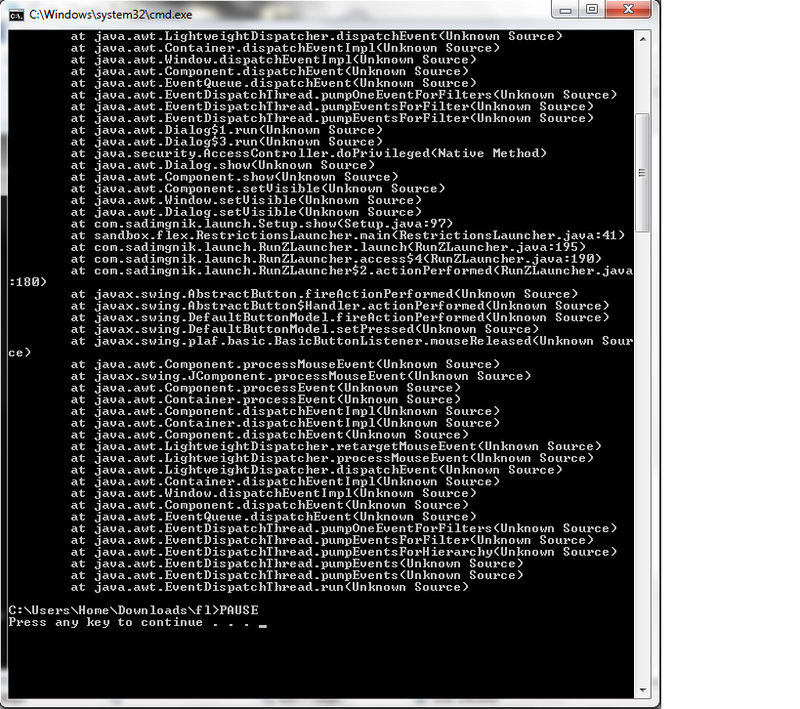 In the downloads called flex in the useful tools or something like that. at the top of the list in that section. UTOPIA "To Create Entirely New Nations"
Is anybody here to help with this league patch? I need more detailed instructions. Thanks.